cryptonaut-in-exile: The War Games - "Ah, they were all obeying orders, Zoe. That's the military mind." The War Games - "Ah, they were all obeying orders, Zoe. That's the military mind." The Doctor realizes where they've landed. Sort of. This is one of the few I hadn't see before undertaking to write about each available TV story, a significant gap in my viewership finally filled! Before watching, I read, among other things, Philip Sandifer's "Tied to One Planet" post and The AV Club reviews of episodes 1-5 & 6-10, so I'll attempt to restrict myself to discussing aspects of the story not already exhaustively discussed an analysed by those guys -- they're good reading for background though, and highly recommended. Given the quality of those other writers, I expect you'll find the important stuff is already covered, allowing to me to take this in a direction in a slightly different direction. The early episodes of "The War Games" are an excuse to consider something other than introduction of the Time Lords and the changes in store for the series. 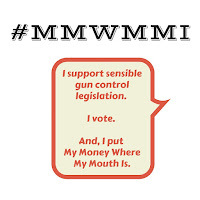 We have a pretty straightforward moral question to wrestle with. Sandifer discusses how, despite the milieu of historical conflicts (M*A*S*H was ostensibly about Korea, after all), we are to understand this story in the context of its time. To be anti-war in 1969 meant, for practical purposes, to be opposed to the Vietnam War. And yet, there's a timeless, universal struggle played out that applies to all wars: the duty of the soldier with regard to orders when those orders are immoral or insane. 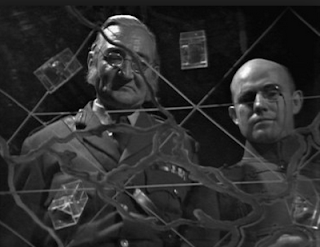 The mind control spectacles utilized by the Generals in this story take the moral culpability off the characters who are directly hypnotized, but they in turn relay the orders down the chain of command and it's at the point where we have soldiers who are not brainwashed that we find Carstairs and the others faced with carrying out the dubious orders of their leaders. Alien generals with mind control spex. World War I, where the Doctor, Jamie, and Zoe (apparently) land, is a significant choice for establishing the story. We see the insanity of warfare as practiced by infantry who, ordered to advance 30 yards must try do so in the face of a hail of bullets and a cloud of poison gas. What kind of courage does it take to to obey the order to charge into No Man's Land? What kind of mind could issue the order? Here, it's where we find individuals with some measure of influence and greater access to information about the war that the questions become more subtle and fascinating. When an alien with mind control spex tells you to do something, your culpability is absolved, but what what does it say that this maladaptive strategic mindset that waged this sort of warfare in the real forests of France and Belgium in 1914 without use of mind control? The generals and officers who relayed those orders had legitimate positional authority, but how did that suffice? What does it say about humanity that all it took was that sort of authority have those orders obeyed? What this story makes one want to learn more about is the nature of authority itself, which leads us back to ... do you hear the drum roll every time I get ready to say ... philosophy! From the perspective of someone who just wants to be entertained and enjoy a Doctor Who story, I think we have to admit "The War Games" drags on longer than is, strictly speaking, necessary, and the Time Lords we meet aren't exactly dynamic and exciting characters. Our pleasure here stems from seeing transitional and transformational moments in the history of the series. 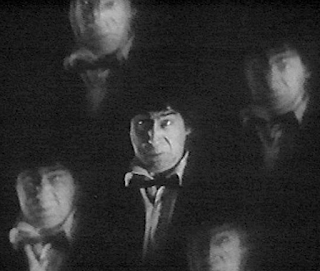 Also, in watching Patrick Troughton's Doctor petulantly resist the fate to which he has resigned himself. Pertwee's Doctor is going to very different sort character, in very different circumstances. Our clownish scamp is going to transform into a patrician dandy, but this by no means represents an undoing of the Troughton years and a reversion to the Hartnellian mode ... Pertwee will be unlike either of his predecessors but their influence will still be there. The change isn't just about getting glammed up (to twist a bit of Sandifer's language) and colorized, but I think it's important to remember that Pertwee's Doctor comes on the scene a punished, imprisoned, and broken Time Lord. His exile to Earth isn't only accomplished by dumping him there with a disabled TARDIS, the Time Lords wiped his mind of the knowledge he needed to actually make it work. Pertwee may appear more competent and self-possessed than his predecessors, but his chafing at his exile should remind us that he's compensating for being, in a sense, partially lobotomized. 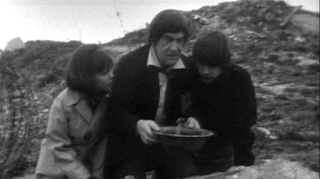 But all that's getting ahead of "The War Games," because we leave off with Patrick Troughton's Doctor being broken down and don't see the final product of his regeneration. Zoe and Jamie are sent back with most of their memories of the Doctor erased, which is actually a rather traumatic for us, the viewers, precisely because the characters don't know what's been taken from them, but we know. And we know the Doctor knows. I suspect the fate of Donna Noble is in large part RTD's recognition that there's a great deal to unpack from Troughton's wistful final moments where his Doctor realizes that the bond he shared with those companions is severed irreparably, and he's going to carry the memories of their adventures alone.